While Atiku has denied the report as totally false and a fabrication of the Buhari’s APC government, the APC has insisted the report is factual. 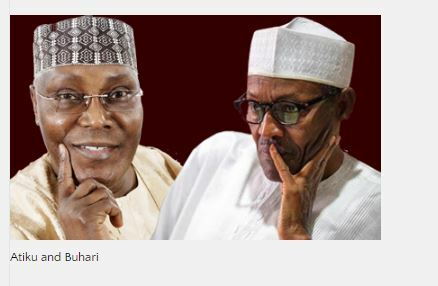 Did Alhaji Atiku Abubakar, the Presidential candidate of the Peoples Democratic Party hire two new lobbyists, John Barnett and Bruce Fein, to make the United States recognise him as Nigeria’s “authentic president”? “For a party that has broken the worst record in election rigging, the APC doesn’t have any iota of integrity to be taken seriously by anybody. Atiku’s court case has become their biggest burden because it exposes their integrity as a sham, and instead of defending their stolen mandate in court, they are now using fake news to divert public attention from the historic electoral heist they have committed against Nigerians. However, fact checking by icirnigeria.org has confirmed the story and Atiku’s rebuttal, a lie. The Centre said Bruce Fein and his firm Fein & DelValle PLLC registered as foreign agents on Abubakar’s behalf to provide legal, consultancy, and public advocacy services over a 90-day period for $30,000. “In the contract, Fein’s firm is explicit in promising to ‘obtain official recognition that you are the authentic President of Nigeria based on an accurate counting of legal ballots.’ The goal of the effort is straightforwardly described as ‘to convince the United States that your presidency would open a fresh and new chapter in Nigerian politics,’” it stated.